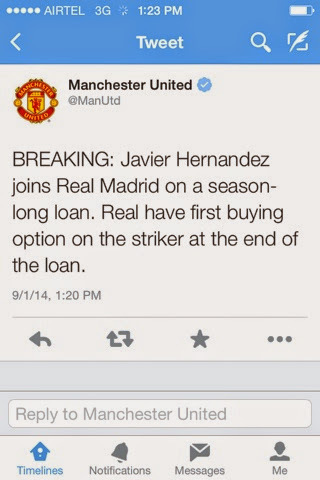 Javier Hernandez is now a Real Madrid player. The Mexican striker signed for the European champions on a loan deal from Manchester United. Real Madrid will have the first option to buy the Mexican attacker. Footballnus opinion: He will do great at Real Madrid, very good in the box and surrounded by great players. His positioning will be a great advantage for Real Madrid as Benzema lacks the instinct of the Mexican attacker.